We don’t call it Mad March for nothing! 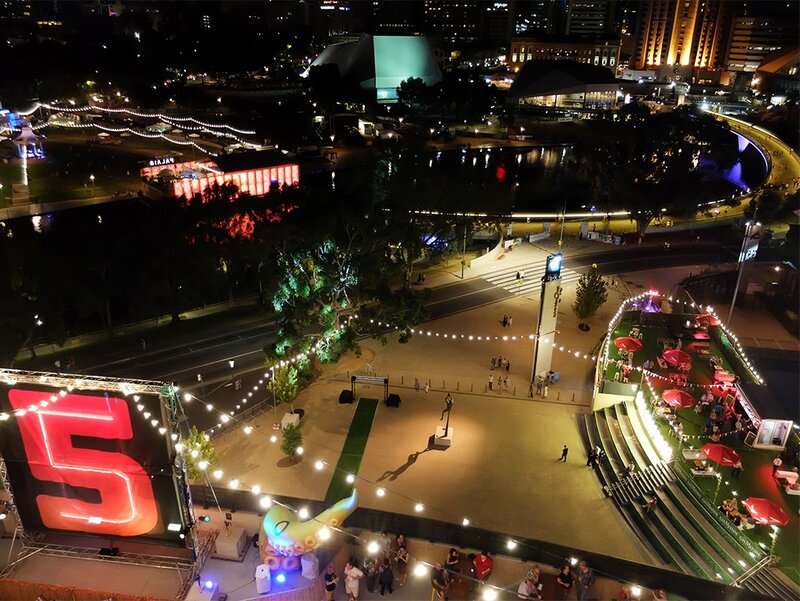 Festival season in Adelaide is undoubtedly the best place to be in Australia, and perhaps even the world. Between attending shows at the Fringe (second only to Edinburgh), taking in the eccentricities of WOMAdelaide, being immersed in the concerts and art installations at Adelaide Festival, listening to legendary writers at the Adelaide Writers Festival, and living life in the fast lane at the Clipsal – it’s all happening! Mad March has well and truly reached us at Adelaide Oval and we’re excited to share what’s in store for you. There’s more on than you think, and it’s no wonder things get a little crazy around this time. We’re adding to the madness this March with our own itinerary; here are our six must-do activities at Adelaide Oval. If you think this is a magical time in Adelaide, wait until you see it from the roof of Adelaide Oval. Our twilight RoofClimbs take you above the action of Adelaide Oval’s Fringe venue LIVE on 5, Royal Croquet Club and the Riverbank Palais just as the sun goes down and the city really comes to life. The RoofClimb is unmissable if you’re in town this March. There’s something amazing about being able to point out Adelaide’s most famous destinations and hotspots before you join the party on ground zero. Plus, we have just received the Peter Combe seal of approval! Video: Peter Combe serenades our climbers! If you would like to book in for a RoofClimb this festival season, head to our website to get in before you miss out – we’ve just added our Game On! climbs for the 2017 AFL season, which kicks off on Sunday, 26 March. 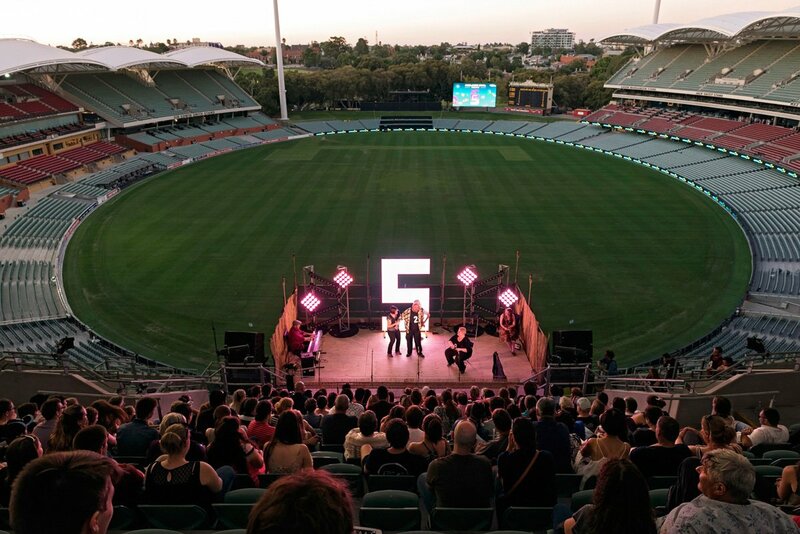 Adelaide Oval has transformed into a brand new Fringe venue called LIVE on 5, with seven different stages around the stadium and more than 150 shows on offer. The main stage takes your theatre viewing experience to a new level – it’s been built high into the Level 5 Riverbank Stand seating bowl with the Oval behind it…how’s that for a backdrop! This Friday, 10 March you can see award-winning singer Beccy Cole perform with Libby O’Donovan for their one and only Fringe show – grab your tickets here. 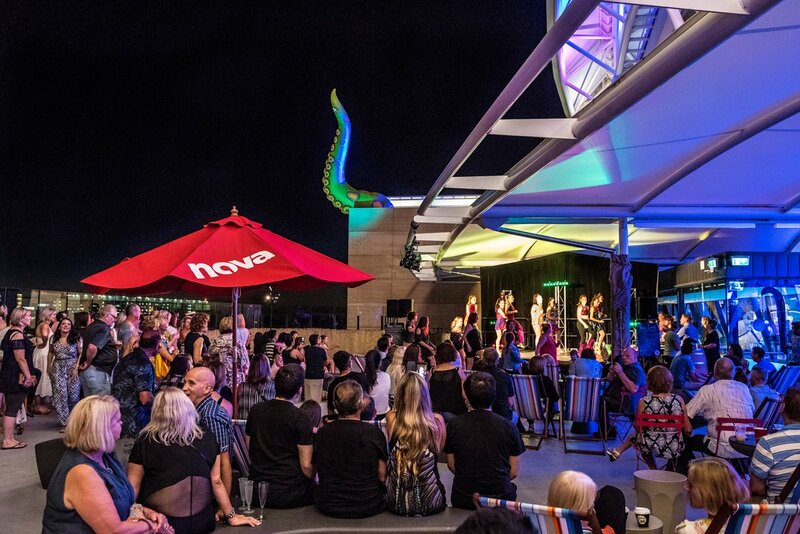 You can also soak up amazing city views and enjoy a cocktail or bite to eat at the LIVE on 5 Terrace Bar, a buzzing Fringe hub open until Saturday, 11 March. With free entertainment and live music every night, gather your friends and get ready to party! To check out the full LIVE on 5 show schedule click here. Remember when Rolling Stones graced Adelaide with a show that blew us all away with its authenticity and power? And more recently, Guns N’ Roses brought their unmissable stadium show to our city. Adelaide Oval has hosted some of the world’s best artists, but it doesn’t get much better than Adele and her 360º in-the-round tour. Image: Adele is coming to Adelaide! Adelaide Oval will be transformed into a stadium spectacle on Monday, 13 March where concert-goers will be immersed in the Adele experience, a once in a lifetime opportunity. We can’t wait – have you got your tickets yet? Dennis Leslie’s unique menu is a daring foray into local flavours and each dish showcases South Australia’s incredible produce. 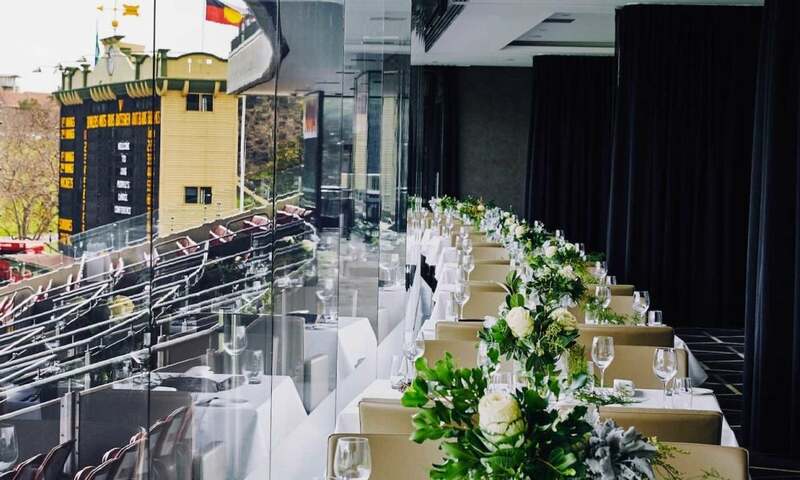 If you have plans along Adelaide Riverbank during the festival season, make your night unforgettable by eating at Hill of Grace Restaurant first. The restaurant has a special dining offer during the Adelaide Festival, where you can enjoy two courses plus a glass of wine for $59 per person. Alternatively, in the month of shows and theatrics, make your meal a spectacle by enjoying the eight course degustation. Chef Dennis created it to take you on a sweeping tour of South Australia, all while seated in the stunning Hill of Grace Restaurant. Look over the hallowed turf of Adelaide Oval during one of the most memorable dining experiences you will ever have. It’s a show in itself! To book your table, head to the Hill of Grace Restaurant website or call 08 8205 4777. 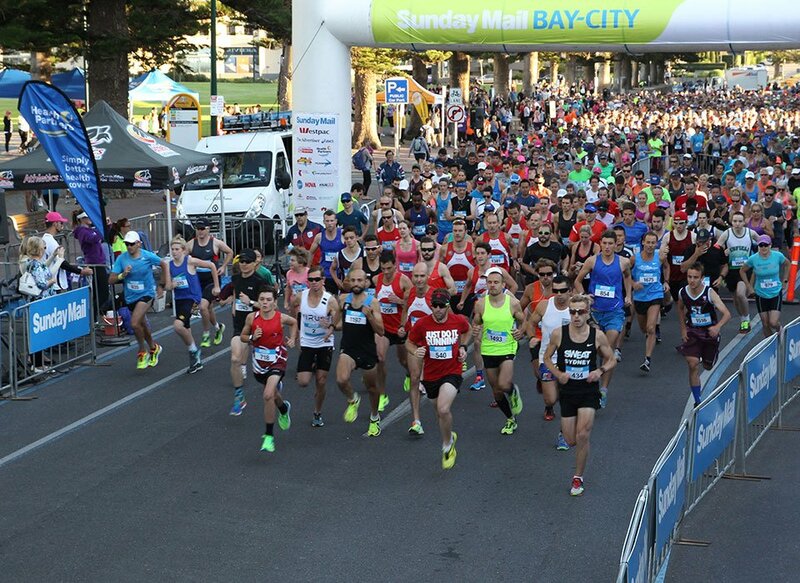 You may have heard of the City-Bay, but while you’re in Adelaide, take the chance to participate in it’s sister race: the Sunday Mail Bay-City! On Sunday, 19 March, thousands of runners will take part in this famous race backwards, from Bay to City, ending outside Adelaide Oval on the Telstra Plaza. Make the Bay-City Fun Run part of your festival season by registering here. And remember, as soon as you cross the finish line you get to enjoy food stalls, sponsor tents and entertainment with us at Adelaide Oval. What would an Adelaide Oval list be without mentioning Aussie Rules Football? 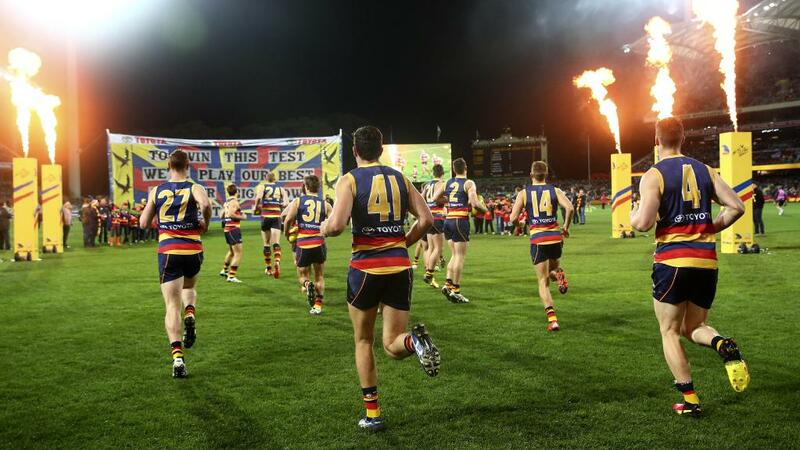 The first game of the season kicks off on Sunday, 26 March – Adelaide Crows vs GWS Giants. You can grab tickets to the first round here or, if you want to make it a winning day no matter the result, watch the game with the RoofClimb Game On! experience. Watch a full quarter of the game from the best – and highest – seats in the house! Tickets are selling fast: make your reservation here! Adelaide Oval is an icon, but there’s more on offer than you think. Festival season in Adelaide is perfect opportunity to make the most of what’s on and become a part of history! For all the latest from us at the Commonwealth Bank RoofClimb, please stay in touch on Facebook or Instagram.